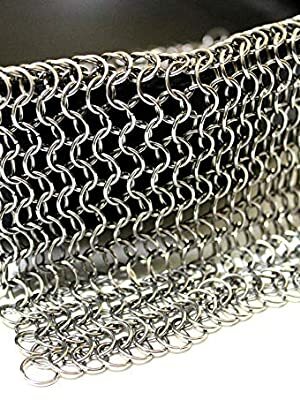 Stainless Steel 304 Chainmail - Cast Iron Cleaner, 8" x 8"
Will not rust due to premium stainless steel and is not abrasive like steel wool. Will fight any tough grime and grease without damaging your cookware. Cleanup time is about to be minimized! 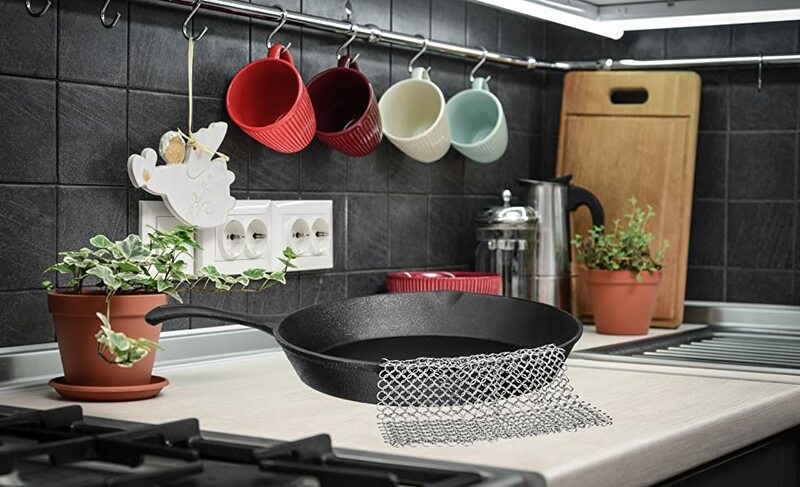 Bruntmor's high quality 304 stainless steel chainmail scrubber will be sure to keep your cast iron products clean. 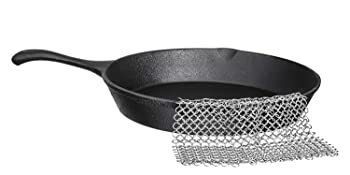 Use on cast iron skillets, stovetops, casserole pans, baking pans, dutch ovens, tea pots, and more. No need to discard and repurchase like you would for a sponge or steel wool or other metal scrubbers which build up with bacteria and germs.